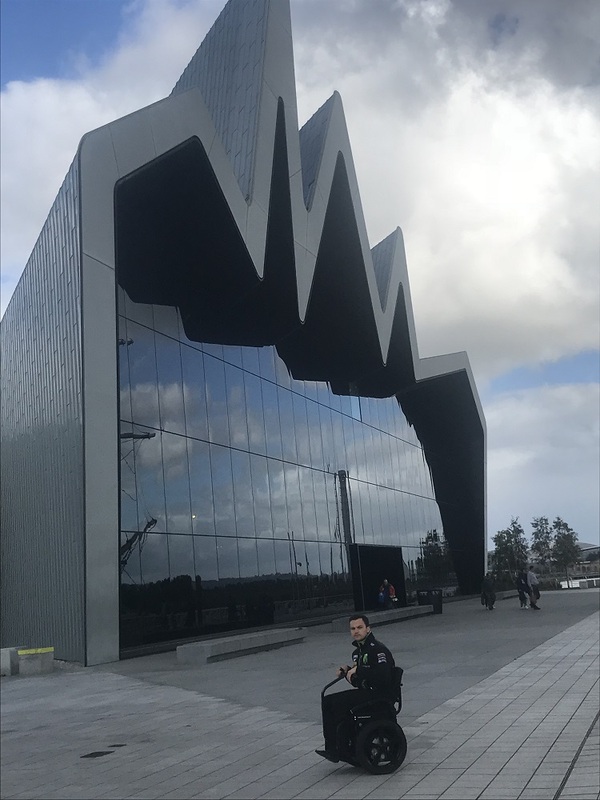 After a busy summer, our last mobility day in partnership with Allied Mobility kicked off in style last week at the Riverside Museum in Glasgow. 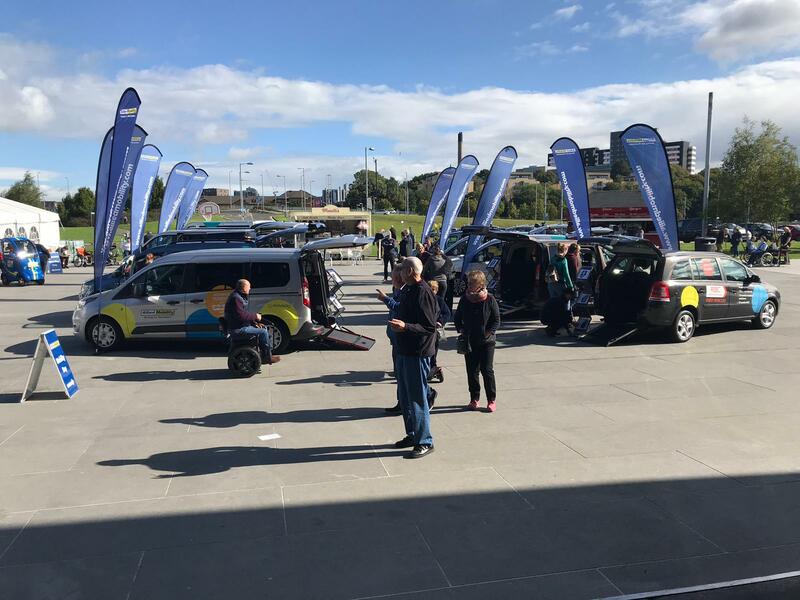 After some gusty weather the day before, it was a relief that the day went ahead as planned, allowing the hundreds of people who had registered for free tickets to come along and check out a huge range of mobility aids and wheelchair accessible vehicles (WAVs). Set in a futuristic building on the banks of the River Clyde, the Riverside Museum is Glasgow’s award-winning transport museum. With over 3,000 objects on display there’s everything from skateboards to locomotives, paintings to prams and cars to a Stormtrooper. It’s been great to take Mobility Solutions across the UK this year. We’ve had an amazing response to our products and service, and are proud to be making life easier for more customers than ever. 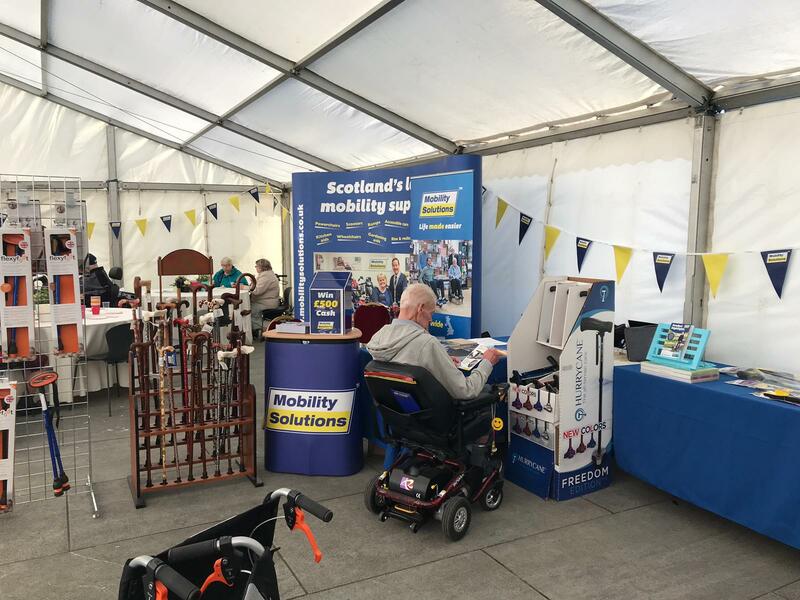 Mobility Solutions filled a giant marquee with a wide range of mobility aids, from Cosyfeet slippers to adjustable beds. Many of our suppliers and local charities came along to add to the day, including Pride Mobility, Recliners, Quantum Rehab, Stanley Handling, Pharmaouest, Glasgow Rocks Basketball team and Feel the Warmth. Allied Mobility showcased all of their vehicles in the outside space, in front of the Riverside Museum. The entire fleet was available for guests to view, including the Peugeot Partner Horizon™. Mobility advisors were available on the day to assist customers and answer any questions they had. Although that’s a wrap for this year, we’re already looking forward to finding great venues for events across the UK next year. To keep up to date with the latest event and sector info, subscribe to Mobility Solutions or like our Facebook page.